Liangying ZHU from Frick's lab will give a presentation entitled "The role of intrinsic plasticity for memory formation in the prefrontal cortex." Isabel DEL PINO from Frick's lab will give a presentation entitled "Neural allocation mechanisms of recent and remote memories." Maria Isabel Carreno-Munoz from Frick's lab will defend her thesis entitled "Supervised and unsupervised investigation of the temporal dynamics of normal and pathological behaviour in the mouse and rat"
from Frick's lab will defend her thesis entitled "Supervised and unsupervised investigation of the temporal dynamics of normal and pathological behaviour in the mouse and rat"
Le syndrome de l'X fragile est une maladie neurodéveloppementale et la principale cause génétique d'autisme. Dans une publication qui vient de paraitre dans la revue Neuropsychopharmacology, le groupe de X. Leinekugel (Neurocentre Magendie, équipe A. Frick) donne corps à une hypothèse clinique dite de "la défensive sensorielle", ainsi qu'une piste de traitement pharmacologique potentiel. The team is based at the Neurocentre Magendie, an INSERM research institute, and member of the Bordeaux Neurocampus — a centre of excellence for neuroscience research in France. The day-to-day language is English, but support would be provided for learning French if the candidate so wishes. 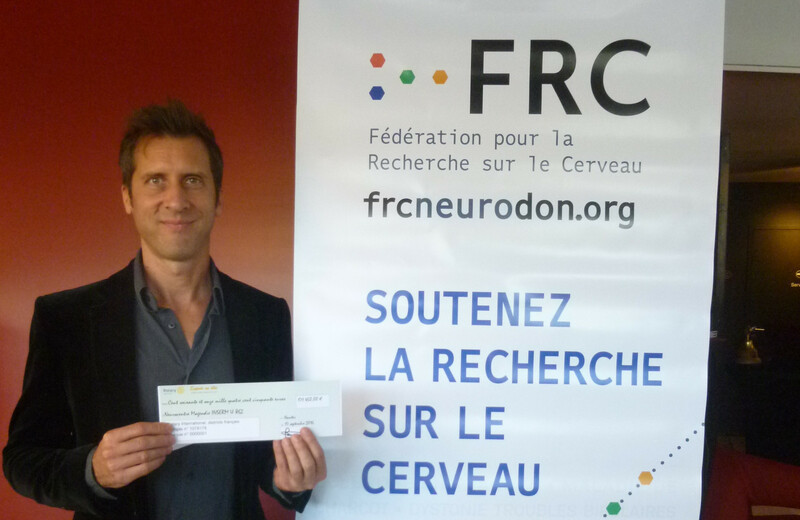 Olivier DUBANET from Frick's lab will give a presentation entitled "Dynamics of interactions between excitation and perisomatic inhibition in normal and epileptic hippocampus in vivo"